A new report gives the country an F grade on attempts to make it easier and safer for all citizens to get places without a car. Whether by street design, long distances between places, or more deep-seated cultural reasons, most Americans walk very little every day. That’s a shame: Public health advocates argue that moderate, informal exercise outside, including walking, is an important determinant of public health. 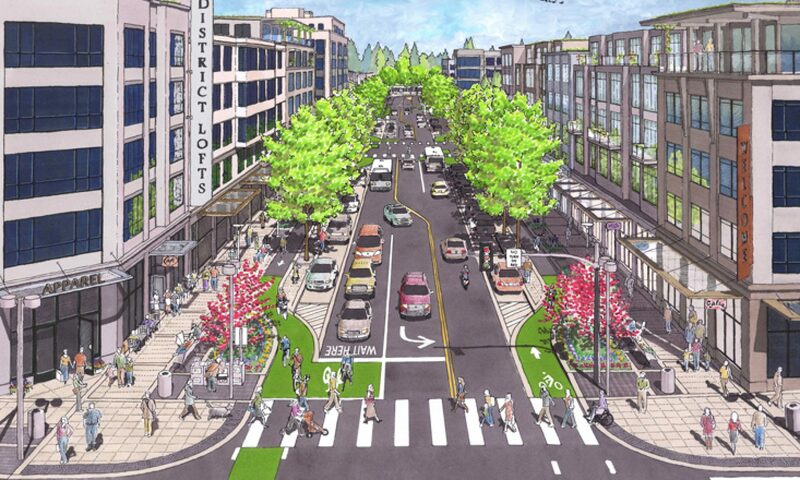 And America’s car-centric development isn’t doing us any favors, remaining an impediment to higher levels of walking and walkability, a new report shows. To encourage bicycle commuting in the city and ease some the fears associated with it. “The free roadside assistance initiative is run by the Hartford Business Improvement District. It is part of the organization’s Clean and Safe program, which puts those “safety ambassadors” on downtown streets, giving free assistance to stranded motorists, providing security escorts and acting as another set of eyes and ears for police, said Jordan Polon, the business district’s executive director. “Eddie Zayas is one of the district’s “safety ambassadors.” Like the vast majority of the others, he’s a city resident. He wears a fluorescent yellow uniform and an identification badge and patrols on his bicycle downtown. He carries with him a two-way radio, a tool kit and three different sizes of bicycle tubes. How to ride on the streets and roads we have, while working to make the streets and roads we need! As an educational organization, Cycling Savvy bypasses the debate over how we wish our roads might look and teaches cyclists, simply, to negotiate those tough choices on the roads where we actually ride. We have requested that Asbury Park be added to the data base. Right now the score is low, but keep checking back! We would qualify for a higher score already with our bike share! The small fishing town of Ísafjörður in the Westfjords unveiled the first ever “3D crosswalk” in Iceland. The crosswalk, which is painted to look like it is hovering over the street, is intended to slow down traffic and reduce driving speeds in the narrow residential streets of the old town of Ísafjörður. The environmental commissioner of Ísafjörður, Ralf Trylla, had come across the idea while researching for novel ways to slow down traffic speed. It only took a couple of weeks from Ralf getting the idea to all necessary permits from the Police and the Transport Authority being in place. In the meantime Gautur Ívar and Ralf practiced 3D painting.